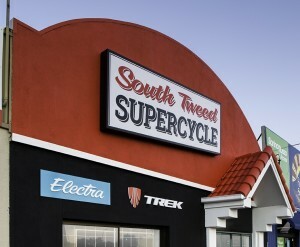 South Tweed Bicycle Centre has been considered an iconic store in the Tweed Heads area for over 30 years. Most cyclists you speak to in the area all have happy stories about buying their first bike from former owner Bill Kearney. After so many successful years Bill and his wife decided it was time to pass along the shop and retire. In August 2015 Roger Campbell (Owner of Palm Beach Supercycle and Gold Coast Supercycle) purchased the business. The transformation from a timeless classic to a more modern bike shop experience began almost immediately, opening up a larger floor space, b right colours and friendly local staff to help former existing customers. As the Tweed Heads store continues to grow each year the store has welcomed many newcomers to the cycling community. South Gold Coast boasts some of the best cycling path systems in the region, perfect for families, bicycle commuting and general fitness. South Tweed Supercycle’s selection of bikes goes well beyond this, however. The are also has a growing mountain bike and triathlon culture. To support this we off one of the best selections of beginner to expert full suspension mountain bikes as well as road/triathlon bikes to get you started in one of the local weekend races. No matter what you experience is we hope you take the time to stop in for a chat with one of our friendly staff. 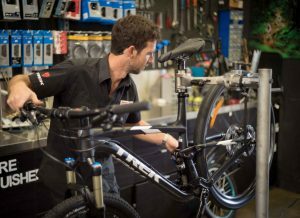 Trek and Electra have been a staple in Roger’s shops for decades and continue to be recognised for their quality and value. We sell the best and service the rest. No matter the brand or where you purchased your bike we would be happy to be your service provider. 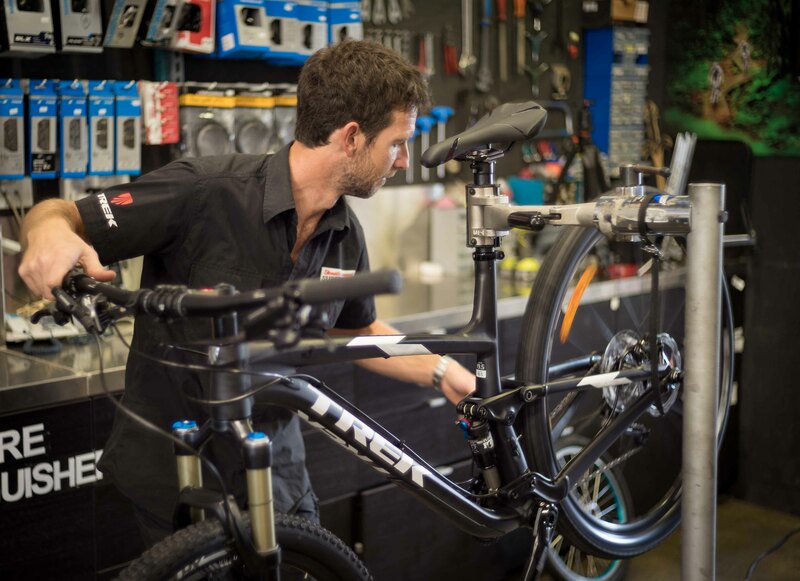 Our bike shop Tweed Heads stocks parts for all types of bike and guarantee to turn around in 24 hours so you can get back on the road or trail quickly.